What if ARM isn't more efficient than the other Server processors? Wired has a post on why Google will embrace cell phone chips (aka ARM). I've blogged on the concept of little green servers built on Atom and ARM, but what if ARM isn't more efficient than an x86 server? Here are some thoughts that are running through my mind. The ARM architecture describes a family of RISC-based computer processors designed and licensed by British company ARM Holdings. 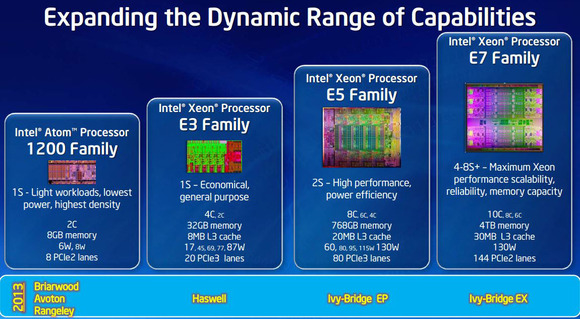 Which would make you think Intel has focused on how it can outperform RISC when there is heavy IT loads. Part of the ARM energy savings for mobile is the ability to shut down energy consumption during idle times. But, if you have a highly utilized server with many VMs on it, when is the idle time? IBM has shipped RISC server chips for years and it works for IBM well enough that there are no rumors of them to switch to ARM. The POWER7 superscalar symmetric multiprocessor architecture was a substantial evolution from the POWER6 design, focusing more on power efficiency through multiple cores and simultaneous multithreading (SMT). The POWER6 architecture was built from the ground up for frequencies, at the cost of power efficiency and achieved a remarkable 5 GHz. HP had PA-RISC. Sun/Oracle has SPARC. Intel's biggest margin business is its server processors and they will do anything to defend its market share. The way some people write it is absolute that ARM's arrival will replace x86 servers. What if they are wrong and x86 has a price performance that meets the market needs. Intel can survive longer than most of the ARM developers, except Samsung. Samsung are the one guys who you don't want to under estimate. Now if you think about Samsung being able to create new always-on servers for things like your home, media centers, cars, small offices, then that is different. When you think of all the disconnected ARM processors in your home in your Routers is one example. Should there be a better home server appliance that can connect your home devices. ARM's potential in servers may be in new markets, not in the data center.